Anyone irked by Apple’s removal of the iPhone 7’s headphone jack -- the criticism has been almost unilaterally bad -- might find themselves even more vexed upon viewing the phone’s inner circuitry. 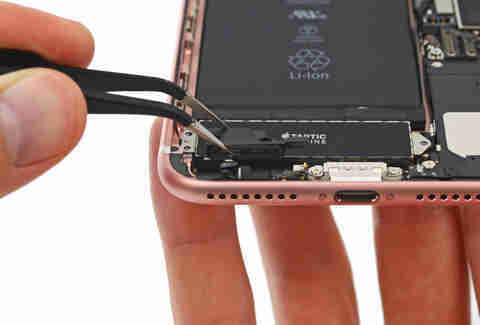 While hordes of disgruntled customers were denied their iPhone 7s on Friday morning because of a supply shortage, the repair guide website iFixit tore apart the phone, revealing an idle piece of molded plastic where the headphone jack once was. Their findings, especially pertaining to the phone’s speaker grill, are revealing: You won’t find anything really functional, like an actual speaker, for instance, beneath the phone’s speaker grill, which ostensibly produces sound.The speaker holes are there merely for aesthetic purposes -- or design symmetry, depending upon who you ask. One could argue that they’re completely superfluous, at least from a utilitarian standpoint. 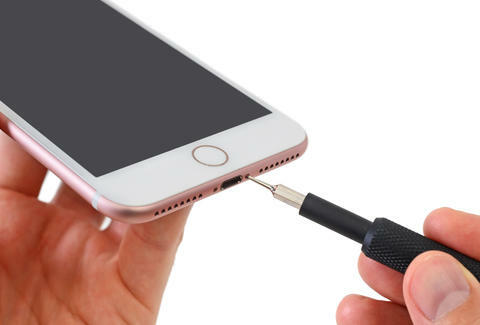 In disemboweling the iphone 7, iFixit writes: "In place of the headphone jack, we find a component that seems to channel sound from outside the phone into the microphone... or from the Taptic Engine out." But looks can be deceiving. The post continues, in reference to the speaker grill: “No fancy electronics here, just some well-designed acoustics and molded plastic," they write. This is all part of CEO Tim Cook’s vision of Apple leading a “wireless future” across the tech sphere. The Guardian notes that the removal of the headphone jack isn’t necessarily all for nought. The absence of the component frees up room for the phone’s taptic engine -- which allows your device to vibrate -- and creates room for a larger battery. Losing the headphone jack in favor of longer battery life is ultimately a tradeoff, but a compromise that might encroach other Apple products -- namely your laptops -- in due time.